MTB advanced – We’ll choose technically more challenging terrain, but still ride at normal pace and have fun, this is not a race. We’ll discover great trail and stay out on the fresh air for about two hours. MTB beginner – Terrain will be less demanding, we’ll ride mostly on gravel roads, forest roads, wide forest paths and easy singletrails. Climbs will be easy or moderate. This rides will take about 2 hours and are perfect for beginners and recreational cyclists. 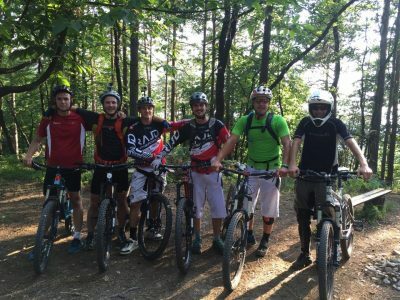 MTB with workshop – We’ll add workshops on some of the group rides, they will be all about maintenance and servicing of your bike/gear or about riding skills and safety in the nature. These rides are about 3 hours long. Road – We’ll jump on our road bikes now and then and go for about 2 hours long ride. Stress is on socializing with other riders and discovering of the landscape around Ljubljana, so we’ll ride with moderate pace and according to traffic rules (we ride on open public roads). 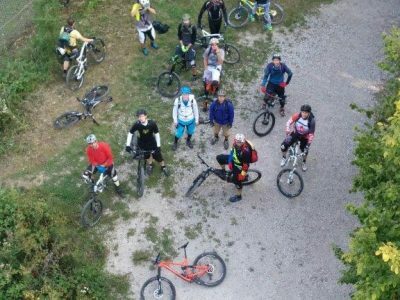 Skills class – Bike Park Ljubljana is perfect location for improving your skills, and this is why we’ll organize an afternoon just for that – free of charge. 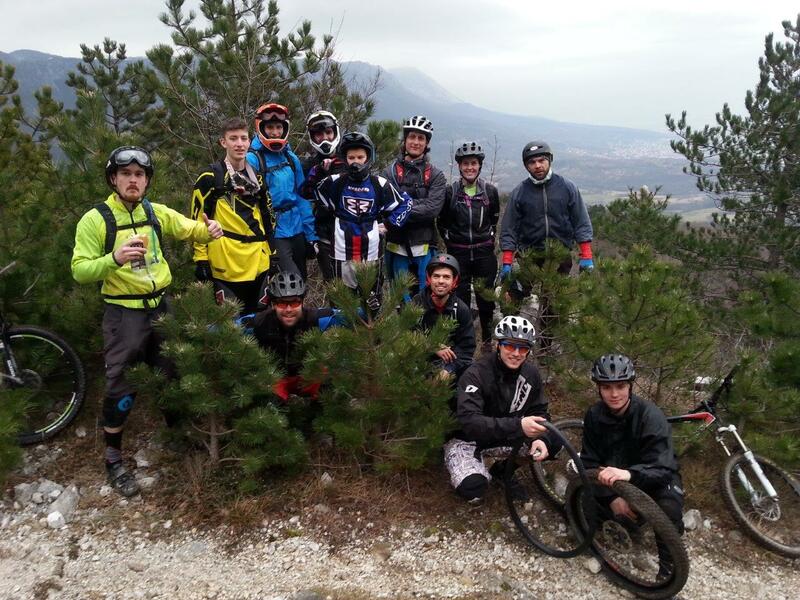 On our website you’ll get more information about Bike Park Ljubljana (link) and all of our group rides, workshops and events (link). Cycling center Funsports offers you a chance of a free of charge test ride of Trek or Cannondale bikes on some of our group rides. You don’t have to join our group ride to test bikes, but you are more than welcome. Start will be at the shop location on Celovška street (Celovška cesta) in Ljubljana. 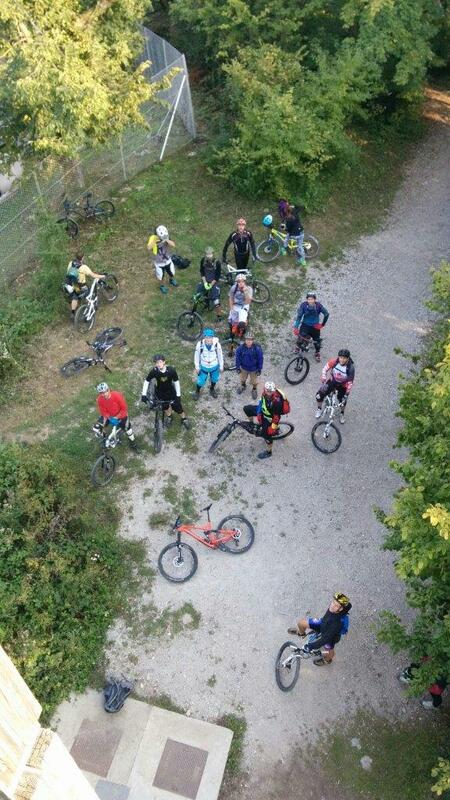 Our group rides usually start from cycling center Funsports on Celovška street (Celovška cesta) or from our workshop on Žigonova street (Žigonova ulica). Starting point depends of the route and riding plan, we’ll keep you informed on that via our newsletter, our Facebook profile and our website. Ride usually starts at 16:30, hour later in the summer heat. Same things you always need on your ride: helmet, bike, proper clothing, protection, enough water and food, spare tube and other gear. But most of all – positive attitude! Send us a short email on info (a) kd-rajd.si and we’ll add your address to our mailing list and you will always get information about the rides (dates, route, hours, location, etc.). Also follow our website and our profiles of Facebook & Twitter. Everybody is responsible for his/her own safety! We demand the use of bicycle helmet, you are also responsible to ride with safe and trouble free bicycle. Cycling club Rajd provides the guide and organizes workshops, but does not take responsibility for personal injury of you or people around you or damage to your or others property. We’ll ride with respect to nature and other users of nature, including hikers and other cyclists, and will not intentionally damage our environment. Ride at your own pace and according to your skills. 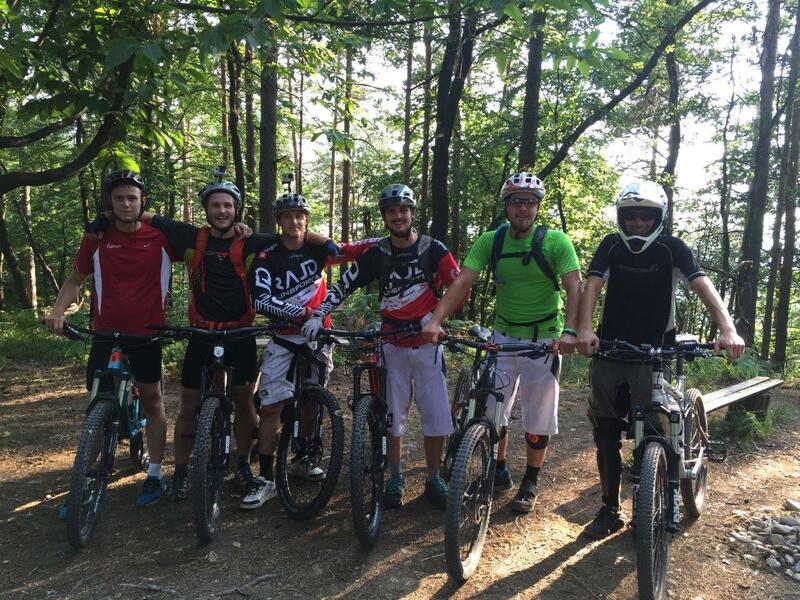 Group rides are supported by Municipality of Ljubljana and are free of charge for all users! 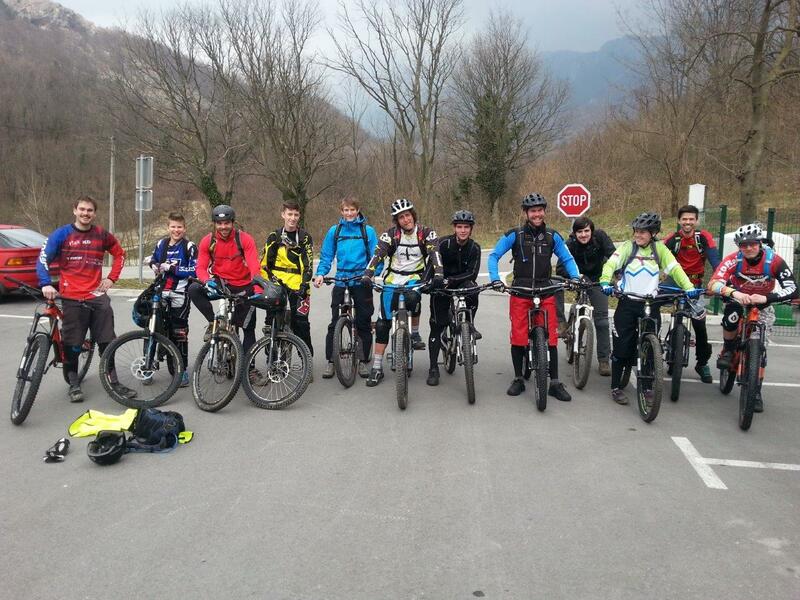 Sponsors of group rides and workshops are Unior Bike Tools and cycling center Funsports.